The North & Western Lancashire Chamber of Commerce offers its members a raft of local services. 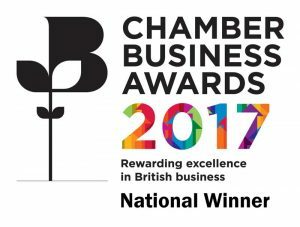 And because we are part of the British Chambers of Commerce, we can offer a number of negotiated exclusive services with leading organisations to bring you support services and help save you money. Chamber membership covers your whole organisation, there is no more cost effective way to have your business represented, supported and promoted. The UK is awash with business support and funding programmes but finding the right programme to suit your specific needs can often be burdensome. With the North & Western Lancashire Chamber of Commerce, we can help you navigate the business and funding support landscape to obtain relevant expert support to drive your business. Find out more at our dedicated business support page. Chamber Training can assist in keeping your team engaged, motivated, and at peak performance. With over 75 course titles across Business Management, Administration, Marketing, Sales, Communications, and Software Skills offered throughout the year, the Chamber training programme can develop the skills of your workforce and improve the overall performance and efficiency of your organisation. Click here to view the training programme. We stage an action packed event programme throughout the year from free networking events to informative sessions. These are great opportunities to develop your relationships and knowledge. Visit the events page for the current listings – many of the events are included in your membership. Members can speak to a dedicated local team of advisers who can help them tap into our comprehensive national business information library. Members can access information on company data, trade names, statistics, finance, legislation and information needed to create a business. Support in identifying and claiming tax relief for research and development investment. Using a professional practice will provide members with specialist advice and a high-quality service. Find out more here. Your Chamber of Commerce has over 100 years experience in selling overseas. We can help you identify new markets, support you with the logistics and potentially assist you in securing funding support. Click here for more information. Is a new publication from your award-winning Chamber of Commerce, will be sent to you each quarter. The Voice will keep members informed of the Chamber’s many activities, including lobbying for legislative changes, providing opportunities to grow your business through partnership and networking, introducing trusted advisors and expertise and promoting positive business news on behalf of our members. Find out more here. Is in in-print and online newspaper distributed to thousands of businesses across Lancashire. As a partner, the Chamber can work with you to promote your business news and success stories via this medium. Get in touch with us for more information. Click here. Help to reduce sickness absence and improve staff motivation with a choice of two great schemes. You could pay as little as £5.57 per employee per month with the cash plan scheme Chamber Primary Health Plan. Find out more here. ChamberCustoms delivers a customs declaration service for UK importers and exporters, of all sizes, in every region of the United Kingdom. With direct links to the HMRC Customs handling system and all inventory linked ports, we can guarantee that your goods, no matter where they enter or leave the UK, will be cleared for onward transportation smoothly. Contact the International Trade Team for further information (launches March 1st 2019). The Chamber HR service provides businesses with access to professional HR advice and documentation. Find out more here. Not sure about your Health & Safety policy and need advice? Can you afford not to know? Get advice and support here. Safeguard your business against the unexpected costs of professional legal services and get legal cover of up to £1 million as well as access to a 24/7 helpline. Find out more here. Members can exclusively take advantage of quality business data at a 50% discounted rate. Find out more here. 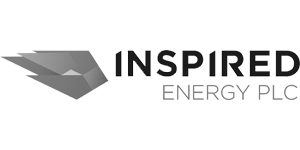 As a member you are afforded access to exclusive support from Inspired Energy PLC, the recommended energy and utilities advisor for the Chamber. Find out more here. Members of the Chamber could improve their business insurance cover and save money on their premiums thanks to Lorica Insurance – call us for further information! Receive up to 67% on the cost of breakdown cover (for members of participating accredited Chambers only). Find out more in the attached Flyer. The Chamber has appointed members MyeBook Global to launch our new mobile app. The app is available to download free of charge onto all mobile devices and will be an excellent new way of keeping you informed on all the services that the Chamber can offer your business as well as keeping you up to date on relevant business news and events and social content. The App can be downloaded to your mobile device here. An exclusive offer only for Chamber members. Support for businesses sending goods internationally or at the start of an export strategy. 50% discount on all DHL Express international shipments for the first year for new DHL customers. Find out more here. When you join the North & Western Lancashire Chamber of Commerce, you join one of the region’s largest business communities, packed with opportunities to market your business to other members, and the wider business community. We offer members a range of sponsorship, promotional and PR opportunities at our events and through our digital channels. Get in touch. We offer a dedicated translation service for businesses that deal with overseas customers. This includes translation and interpreting services in 140 languages, legal, technical, automotive and marketing translations, and language training. Our translation services have been quality assured through ISO 9000 accreditation. Members of the Chamber can apply to use the official member’s logo for use on their website and marketing materials. The Chamber of Commerce brand is recognised worldwide and displaying it shows your commitment to the economic development of your region; a real CSR plus! 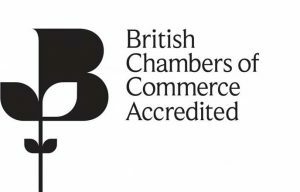 In many countries, membership of the Chamber is mandatory, so if you are exporting, or intend to, then you really should apply to display the logo. For more information get in touch with the Membership Team. Irrespective of if you are a member of the Chamber or not, we can help you access European funded products such as Chamber Low Carbon and support for growing your business overseas. Get in touch with us if you would like further information on any services! As a member of Lancashire’s largest private sector business support organisation, you are in good company. See what some of your fellow members have to say about the Chamber and how we have supported their business, click here. Click here to view the Chamber’s Corporate Brochure.